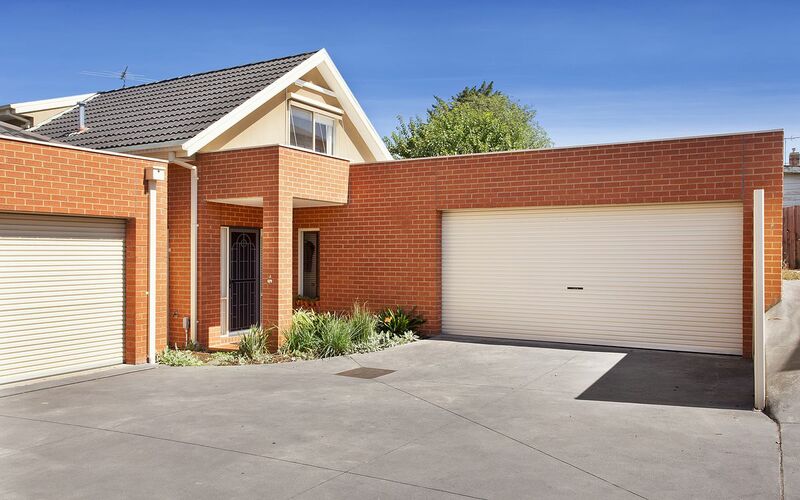 Serene surrounds of leafy parklands and a friendly cul-de-sac setting provide a superbly peaceful backdrop to this delightful, Strathmore College zoned residence. 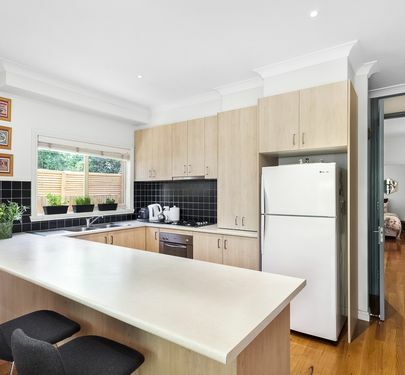 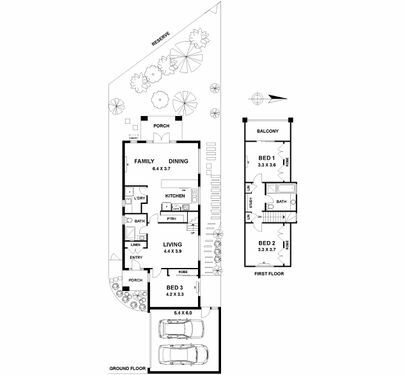 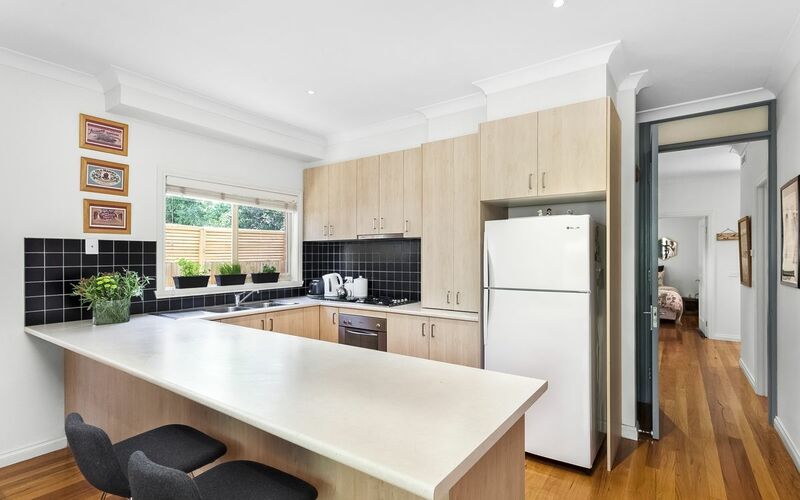 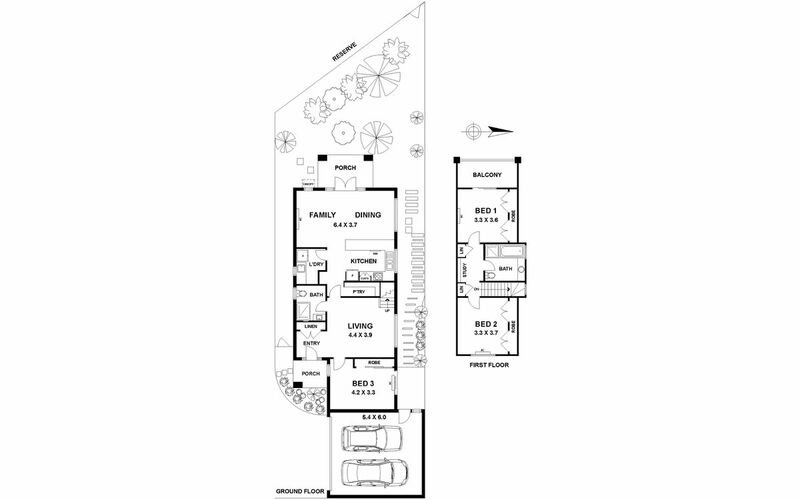 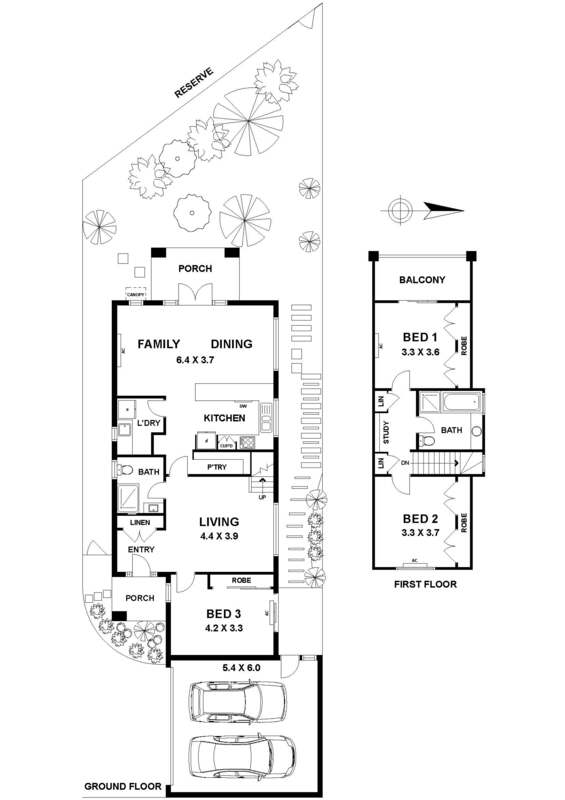 Situated at the rear of a block of only three, open plan enjoyment of living/dining domain is enhanced by cute kitchen and attractive garden aspects while formal lounge, central bathroom and inviting bedroom enrich lower-level living space. 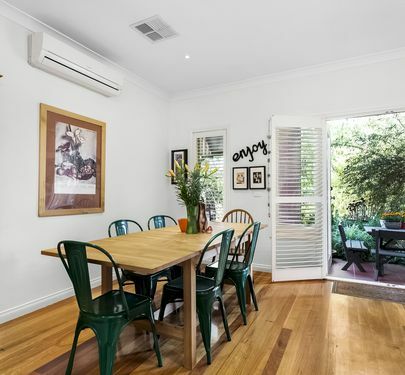 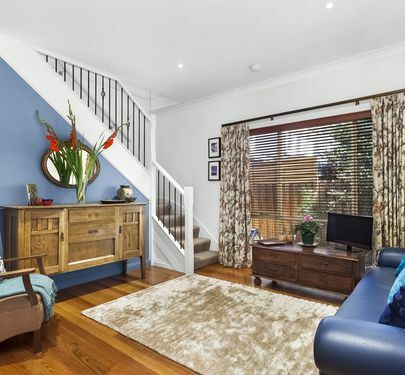 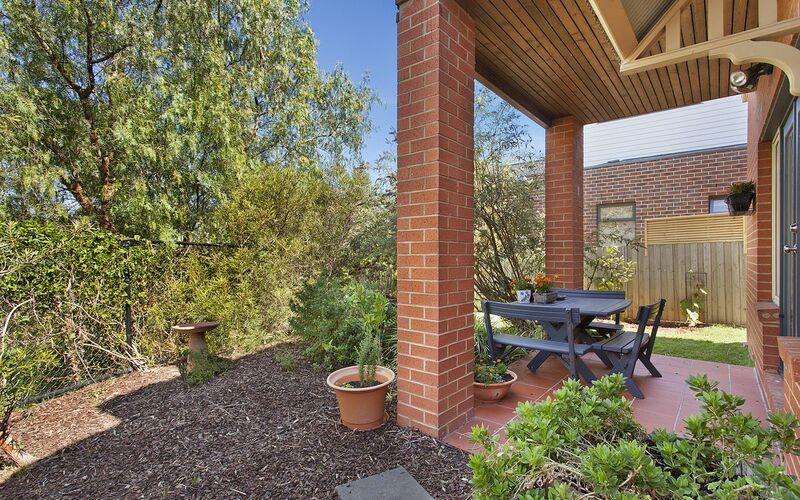 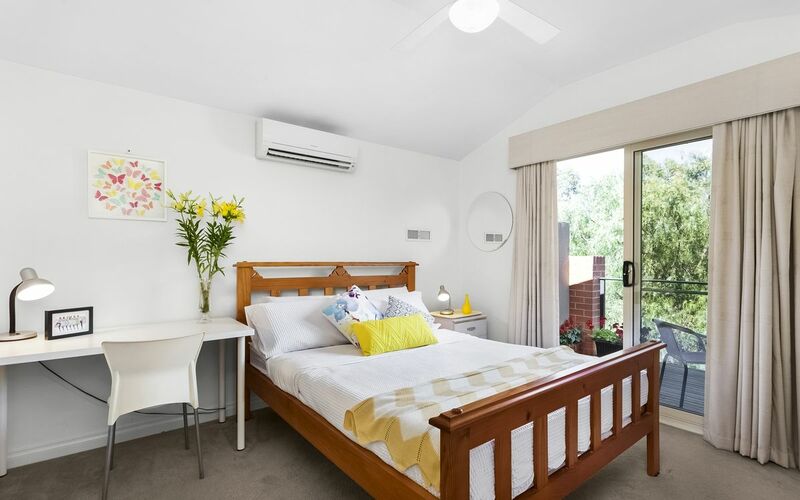 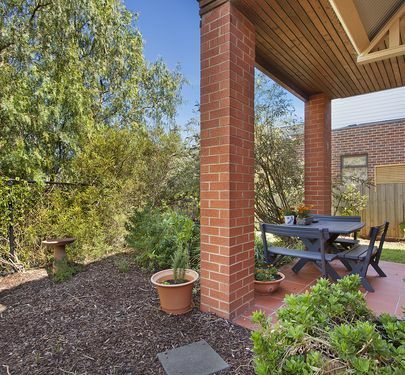 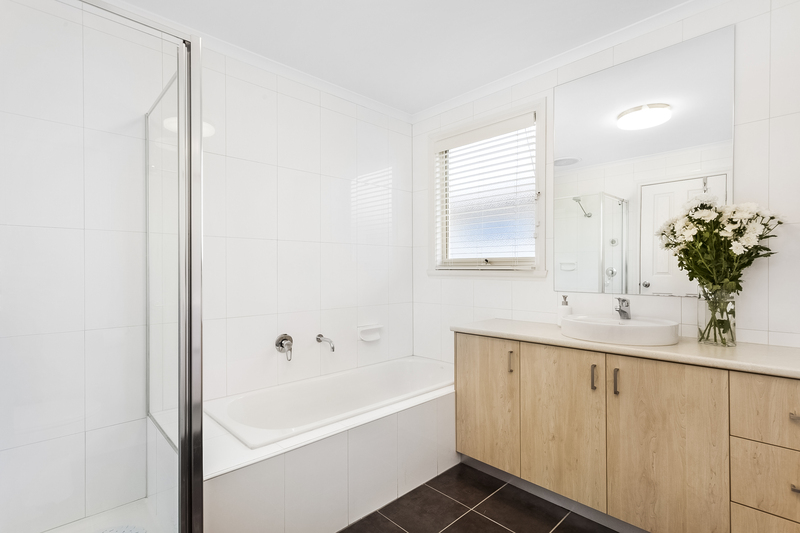 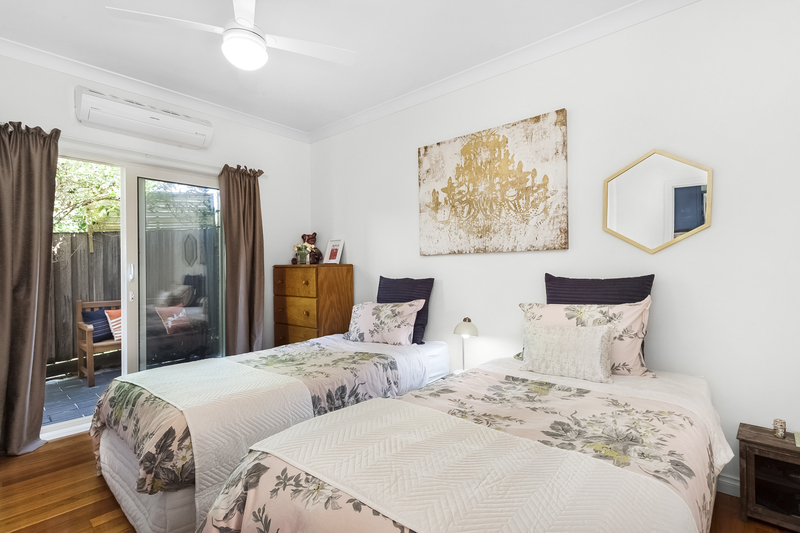 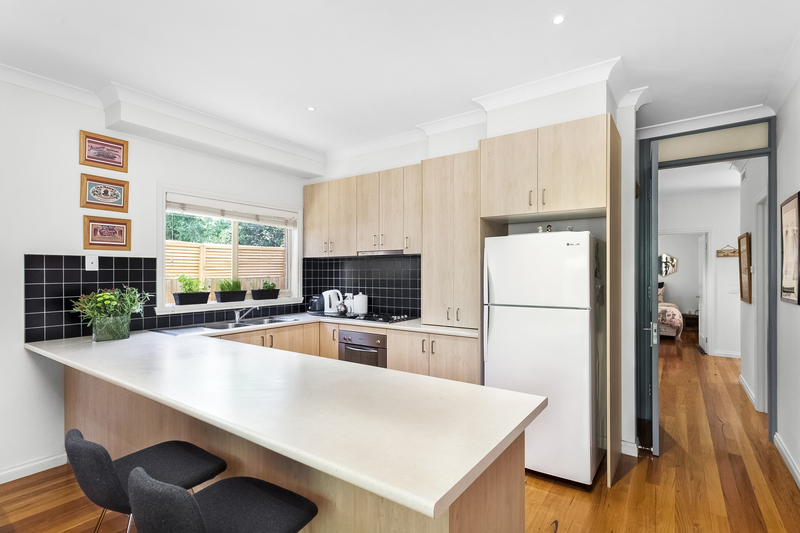 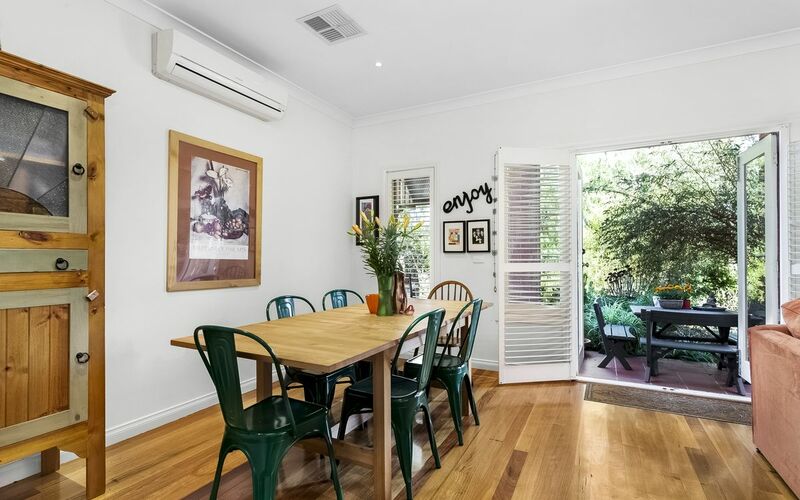 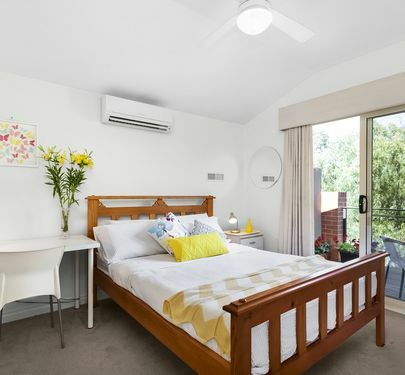 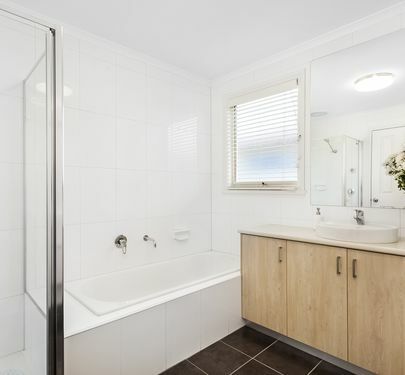 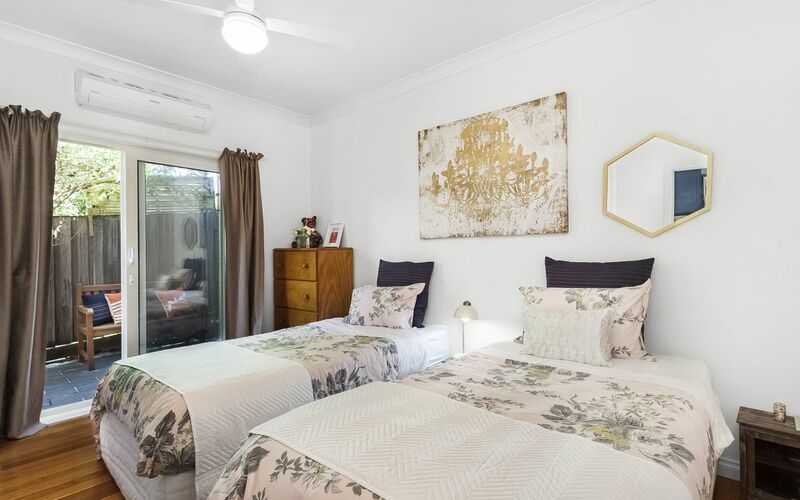 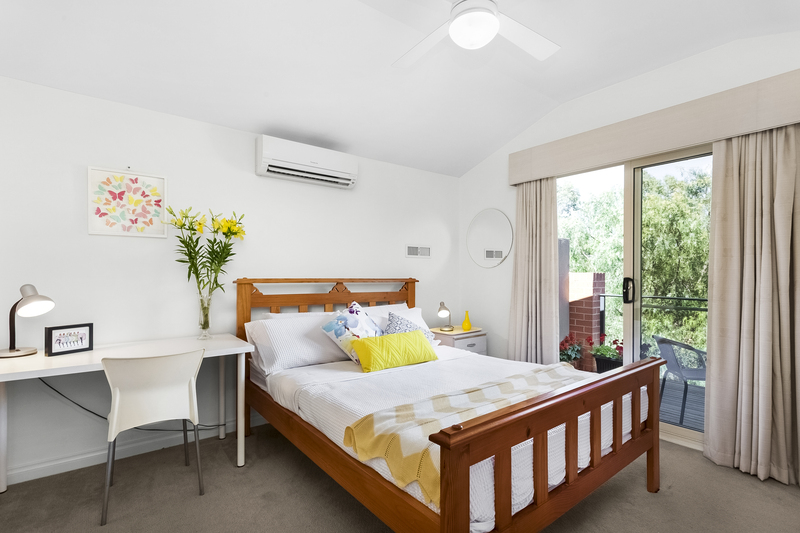 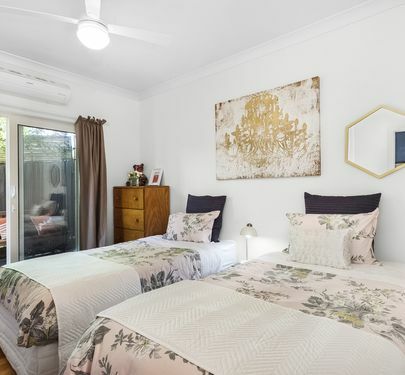 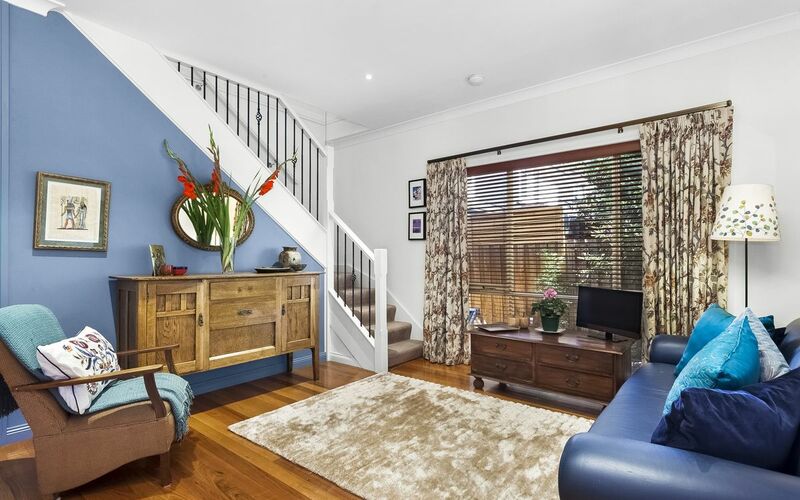 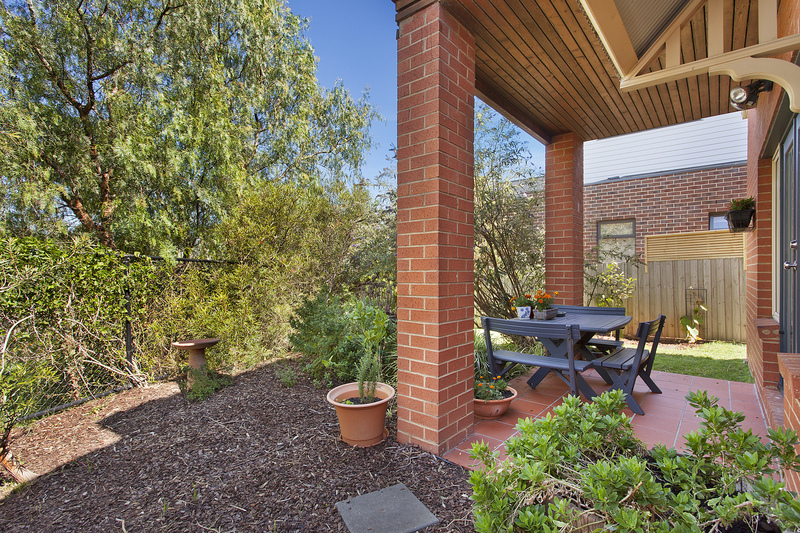 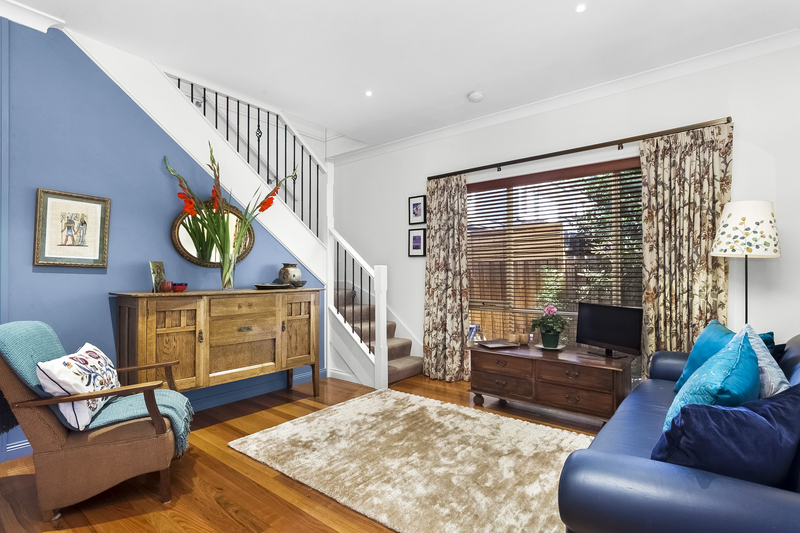 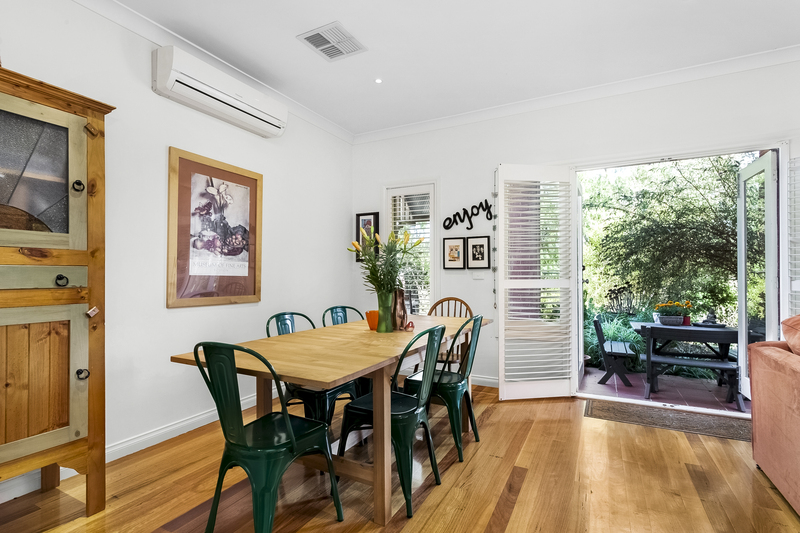 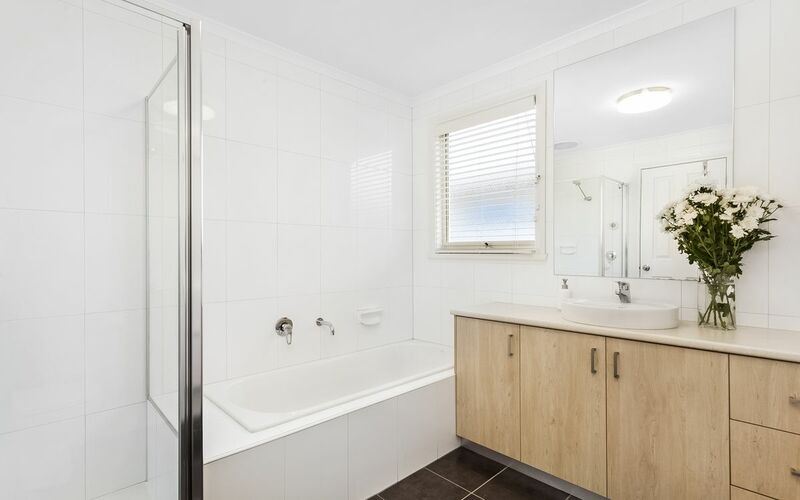 An upstairs retreat of bright two bedroom proportions – both with BIR and air-conditioning – features study nook and neat bathroom, with the main bedroom offering leafy balcony views out over parkland. 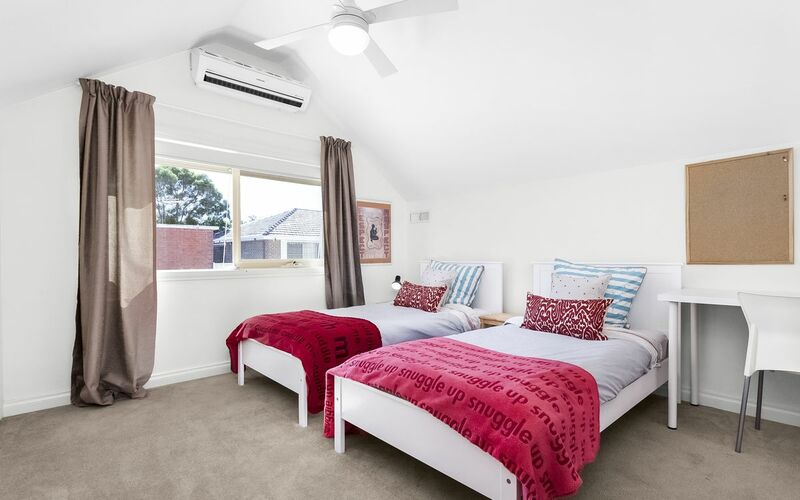 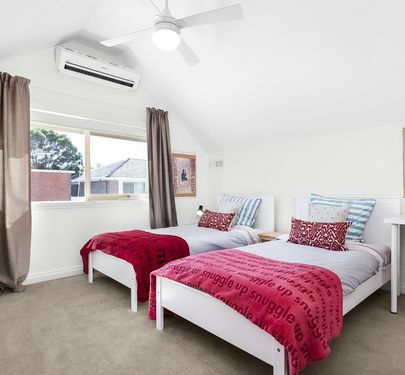 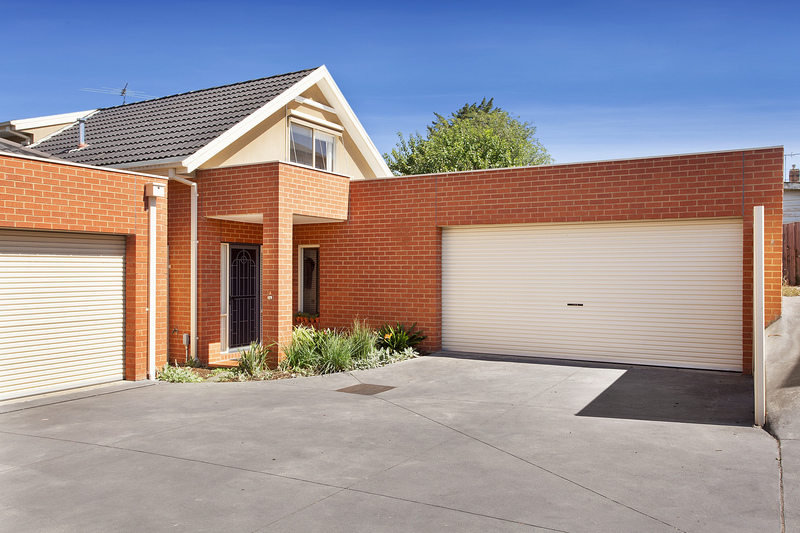 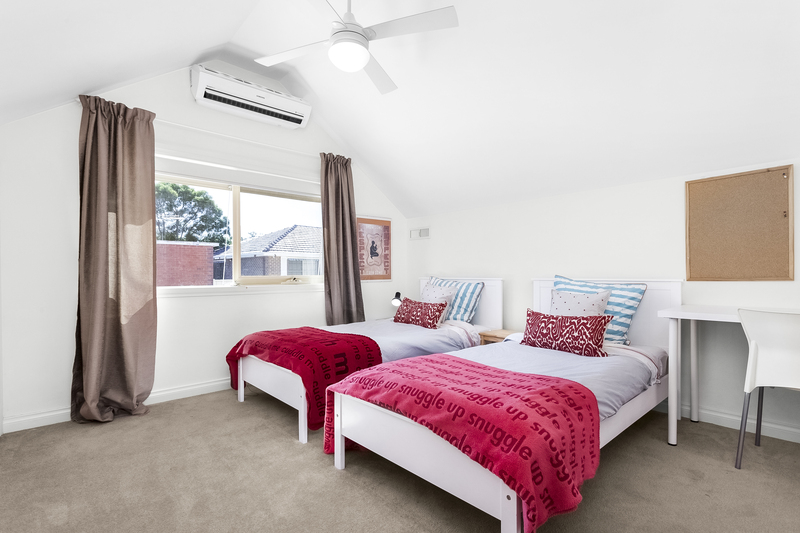 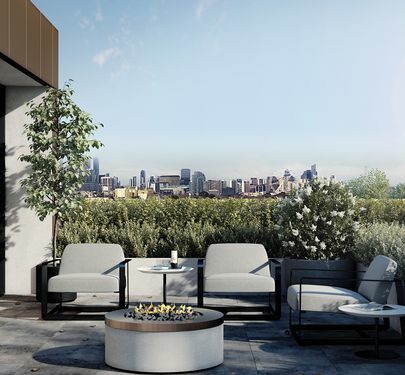 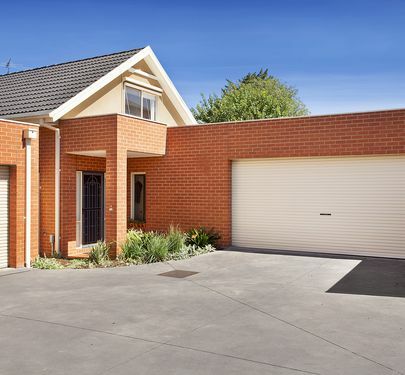 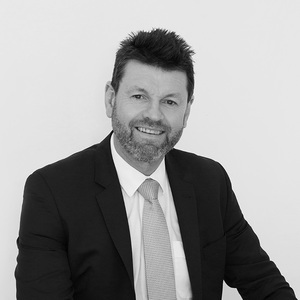 Kept comfortable and convenient with air-conditioned living spaces, ducted heating and secure double garage, as well as immediacy to Citylink, shops and transport.